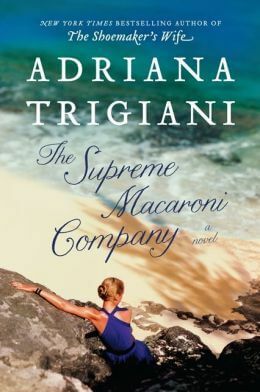 On Monday, December 2, at 7:00 pm, Adriana Trigiani will be discussing her new book The Supreme Macaroni Company (the final title in the “Valentine” trilogy) at Sachem High School East at a free event open to all. Books will be available for purchase and signing before and after the talk. Adriana considers this a special appearance for all Long Island libraries. Register via a link at the top of the Sachem Library website with no library card required, or by calling the Sachem Library (NOT the high school) at 631-588-5024.